In my previous article, I talked about how the African Diaspora is failing in responding to Ebola. While we are hopeful about Liberia, we are seeing a rise of cases in Sierra Leone- a country that we thought was out of the red. Frustratingly so, the zeal we saw in the African Diaspora’s response to the crisis has died with the lack of media interest in what is going on. (Although the NYTimes has kept it on the front page). I am an eternal optimist who is also a critique of what I find to be a fault in the African Diaspora perpetual competition with the West. There are a multitude of issues with the relationship between African countries and the West. They have been taking us to the poor house since they arrived decades ago but not without our help. My worry is that while we have plenty of time to criticize the West, this might not be the time. We can’t simply ask Ebola to stop spreading just so that we can fix the West’s relationship with Africa. The only way to beat Ebola, is to band together- globally. This crisis has escalated to a point where Africans for Africa action is not enough. We need multilateral action- with Africans taking lead. This is a point that we ought to pose and reflect on. How does Africa take lead? To be fair, Africans on the ground are taking lead, but the African Diaspora is still lagging behind. The time for talking or theorizing is over. Only concerted action will save my country, and our neighbours, from experiencing another national tragedy. The words of Henrik Ibsen have never been truer: “A thousand words leave not the same deep impression as does a single deed.” (Her Excellency Ellen Johnson Sirleaf President of Liberia in her Letter to the World). Partnership with US agencies engaged in the response and the African Union is critical. USA: The US has made a significant investment- I believe it is up to $175 million to stop Ebola along with committing logistical support to build health capacity. We should consider leading initiatives that would partner with U.S. agencies engaged in the response, including the State Department and the USAID, CDC, FDA etc. In their recent report, USAID is looking for Diaspora groups that they can work with. While we are an extension of Africa, we have a responsibility to make sure that these agencies work in Africa is representative of the needs in the continent. The critical point in this partnership is that Africans on the ground, and in the Diaspora be at the forefront of the actions being taken. Importantly, a partnership with the African Union is critical as well. the African Union has committed technical resources to affected countries and an initiative to support the Ebola Outbreak in West Africa (ASEOWA). In the first week of December 2014, an Private-Public partnership was launched with several businesses/corporations joining the fight against Ebola. Whether you believe that the African union is effective or not, they still play a role in linking the diaspora to efforts taking place in Africa. ASEOWA is going to be a great way for the Diaspora to join in the efforts, with Africans at the forefront of the fight. African Diaspora communities and professional organizations should organize better and mobilize more effectively to supplement ongoing efforts. If you believe everything the media says, you would have thought that Africans were unresponsive to the Ebola crisis. However, if we all did our research, we would have found that the greatest need was not that Africa needed to respond, but that Africans needed to be organized. Because Africans were responding, just not in the Diaspora. If the diaspora is to be effective, we need to take the time to come up with proper strategies that will galvanize our communities into action. While the crisis is time bound, planning events for the sake of planning events, starting campaigns for the sake of having Africans respond will yield little results. Meanwhile, we will keep complaining about the efforts of the others, while watching ourselves scatter in different directions, aiming for the same goal. We need to critique our efforts and challenge ourselves to do better. We should not accept poor organization, and pass it off as African, or keep patting each other’s back because they are “at least doing something”. Lets keep ourselves accountable. Ebola is no longer a West African crisis, it is an African crisis. We are stronger in numbers. We are stronger united. However, all our efforts thus far have been anything but united. 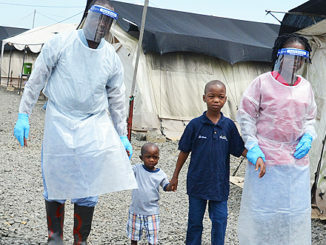 Some of the places to start might be joining the African Diaspora Response task force whose mission is to gather the efforts of the Diaspora on one platform, making it easier for people to identify with different initiatives and see how they can lend their skills, time, or money to initiatives taking place in areas affected by Ebola. Much of what is being discussed right now deals with stopping Ebola. The root causes of the epidemic still abide in systems that have largely failed to build proper infrastructure that would have normally equipped health workers and care center with emergency response training and adequate resources. Therefore, while looking at the ways and means of mitigating effects of the virus, we need to start thinking about emerging situations and come together to project future scenarios- then come up with effective ways to handle these scenarios and provide training. So far, we have seen that the crisis has bred other problems, or possibly magnified other problems in the communities that are affected. We are possibly witnessing a shift in demographics if the death rates increase. Hospitals are overrun while local health workers remain under resourced. This is not to mention that there is an increased neglect of other health needs. So how do we rebuild the cities and the villages after Ebola? We need to ask ourselves: Long After Ebola is gone, and our news are back to the “Africa Needs A Savior” Archetypes, what will the African Diaspora do to assure that we do not have a repeat of this Crisis? What happens after the cameras stop rolling? This partnership should be with the intent of building better health systems in the continent. African Diaspora communities can organize for bilateral agencies, NGOs, private sector, Academia, and civil society in partnership with governments to build infrastructures that can absolve crises such as this in the future. It is undeniable that we need fresh and innovating thinking anchored on easy access to amenities such as affordable health care, sanitation, water and continued medical research. This is still an area that needs more research and more thought, but if we can organize ourselves, and start working on this right now- we will be able to stay ahead of the curve. Africans in the Diaspora have a critical role in coordinating a comprehensive response to the Ebola outbreak and mitigating health crisis in the future. More importantly, the Diaspora is well situated to foster an international public-private partnership that would enable the building of infrastructures such as health care systems in Africa, which would enable our the governments to better and efficiently handle such crises were they to rise again. However, this means that the Diaspora needs to move beyond small-scale efforts and organize themselves better. We need to think beyond- “Doing something”- to- ” Acting Effectively and Strategically”. This means a greater partnership with already existing structures and platforms dedicated to eradicating the disease and building sustainable health systems throughout Africa. 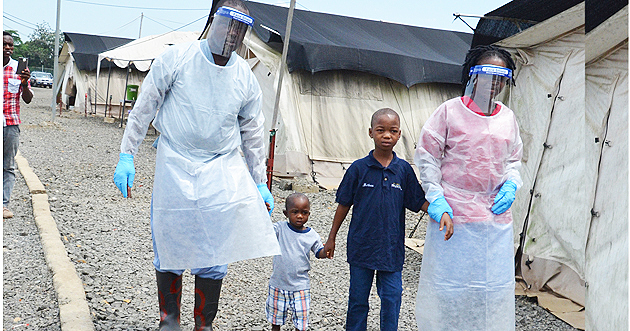 Africans on the ground are resilient in their work to fight their disease. They are doing everything in their power and mobilizing communities, gathering resources to combat this crisis. The Diaspora, with all their resources should do better.